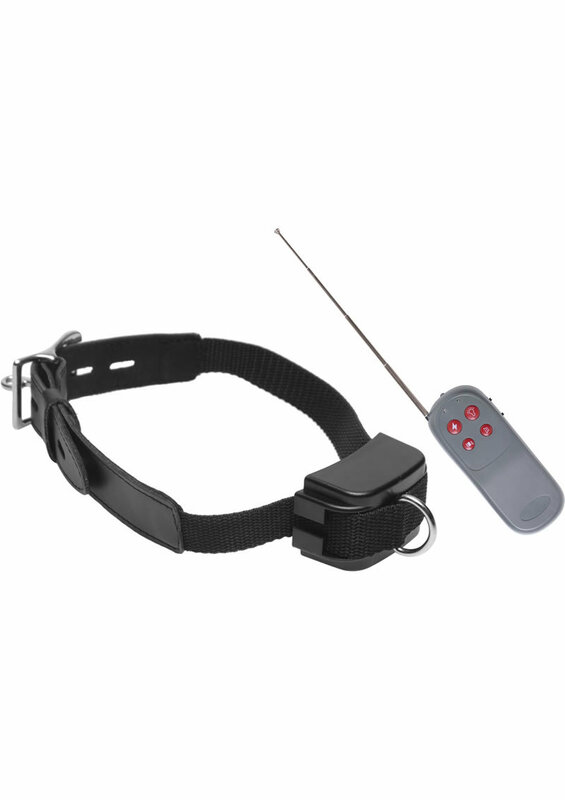 This devious trainer device provides plenty of shock for your pup. Offers effective training via electro stimulation, vibration, audio tones, and visual cues. 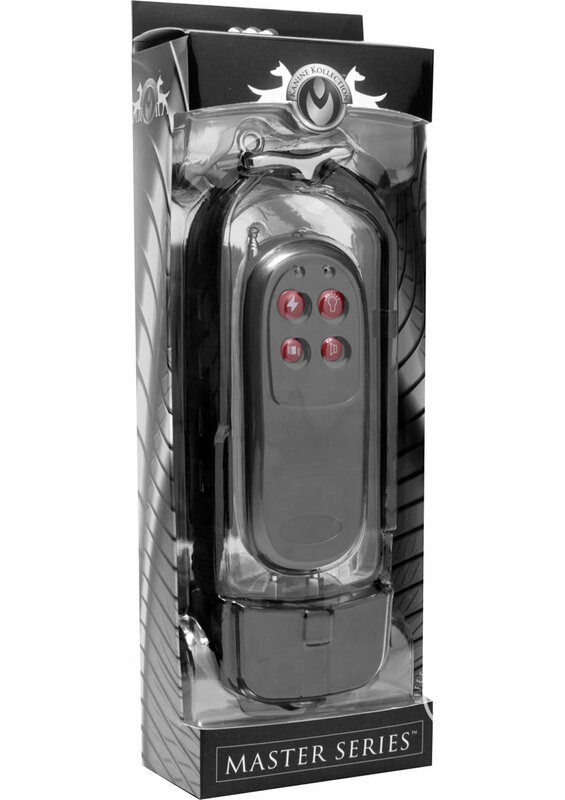 There is a corresponding button for each training method on the long-range wireless remote. Works up to 800 feet away! The adjustable rolling buckle supports a padlock for the option to turn this into a locking collar. Padlock sold separately. Fits necks up to 20" in circumference.